Welcome to our website, we are based in Ballybofey, Co. Donegal and Spencer Rd, L/Derry and cover all of Ireland including Northern Ireland. We are licensed to EN50131-1 and all relevant standards by the The Security Systems & Alarms Inspection Board (SSAIB), ensuring our standard of work throughout Northern Ireland and Britain, and by the Private Security Authority (PSA) which accredits our work throughout the Republic of Ireland. Contact us now and our friendly staff will assess your needs and provide you with the advice you need concerning the security system to meet your needs at a price you can afford. 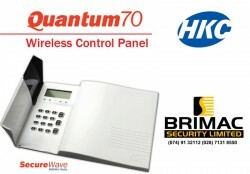 Brimac Security Limited have been appointed agents of the renowned HKC new Quantum70 Wireless alarm systems. The Quantum is a fully integrated, wireless control panel using HKCs SecureWave, two-way technology. The on-board horizontal and vertical antennas mean that all signal paths will demonstrate exceptional end-device range. With an integrated keypad, siren and dialler, installation will be very quick and easy. Also, the aesthetics and elegant design lines mean that it can be mounted anywhere in the premises. With the advancement in technology we are on top of our game: we are leaders in keeping in touch with change and embracing it. We supply and install world leading brands and liaise with the best suppliers in the industry so we can deliver you peace of mind 24 hours per Day. Our friendship begins when you call for a free assessment and consultation with one of our team of security specialists. 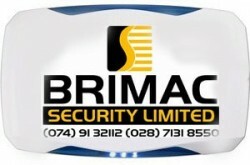 We are proud to be a member of the Irish Security Group (ISG). The ISG consists of 17 independent members, strategically located across many counties of Southern Ireland offering consultancy, design, maintenance and repair services for all aspects of electronic security equipment. Each member is approved and certified by both the National Standards Authority of Ireland and the Private Security Authority to I.S. EN50131 - 2006 & SR40 2005. All companies have been carefully selected for their established local reputation, their commitment to quality and the ability to provide a wide range of services.